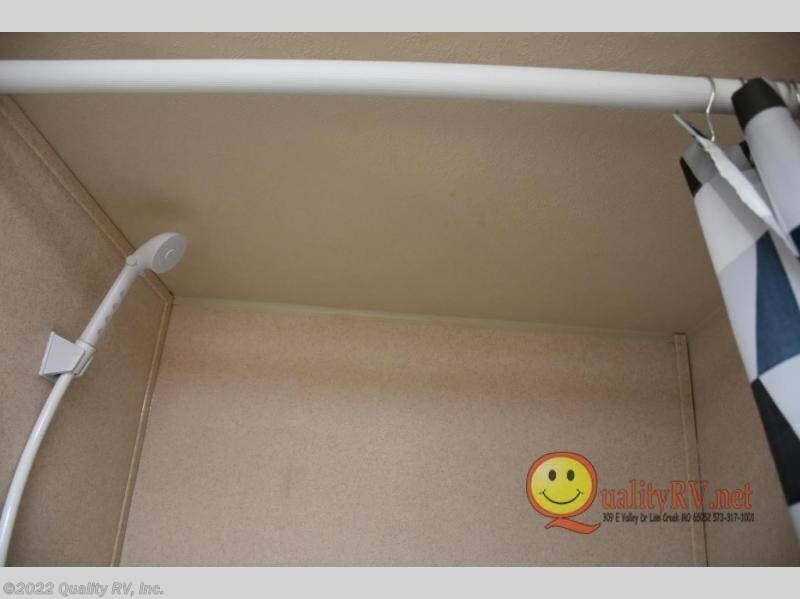 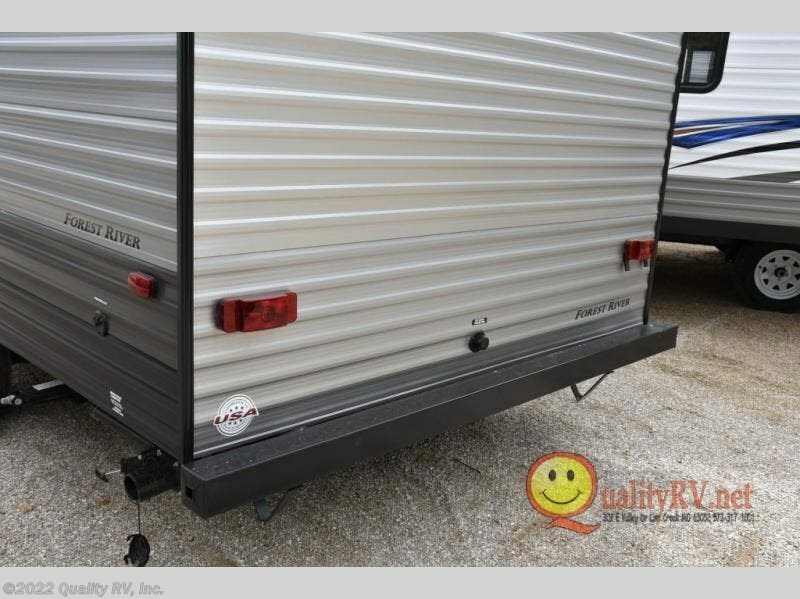 A great camping trailer for a young family with little ones. 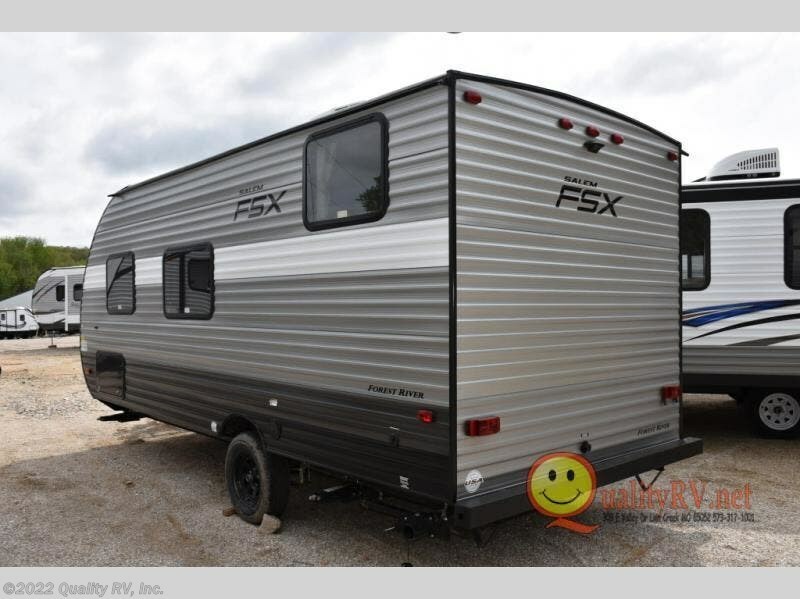 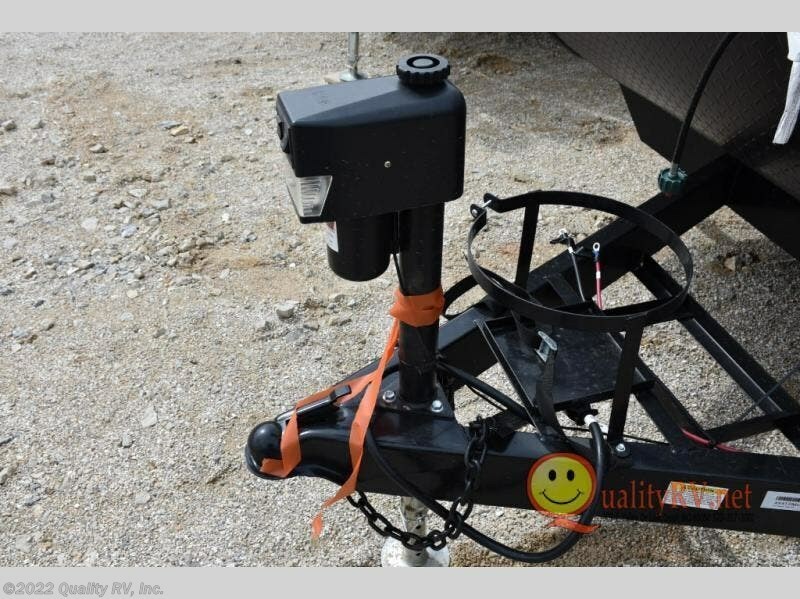 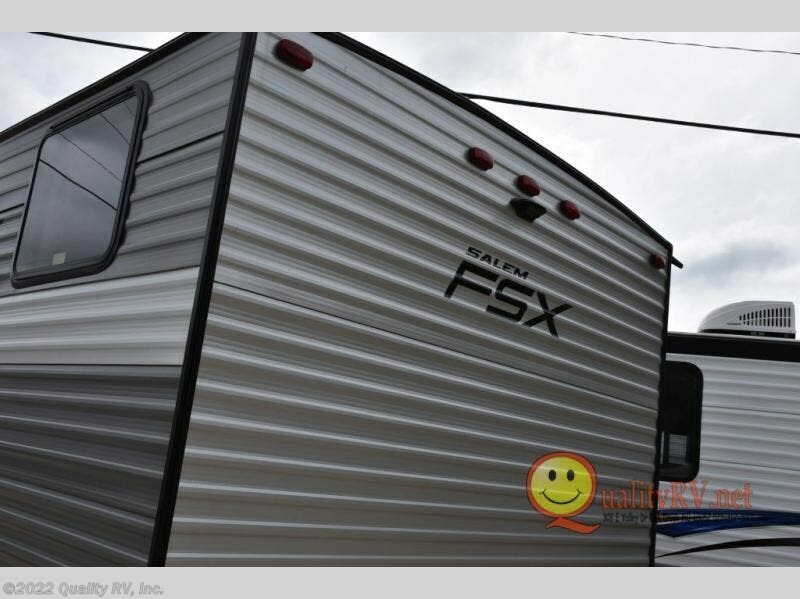 This Salem FSX features all the necessities to enjoy camping in all of your favorite locations. 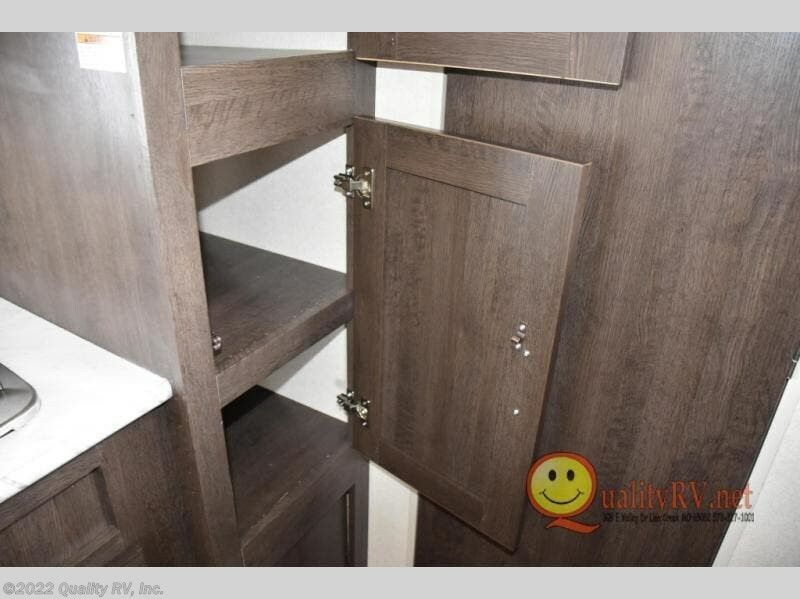 Head to the state park near a lake and spend your day by the beach playing in the water and sand. 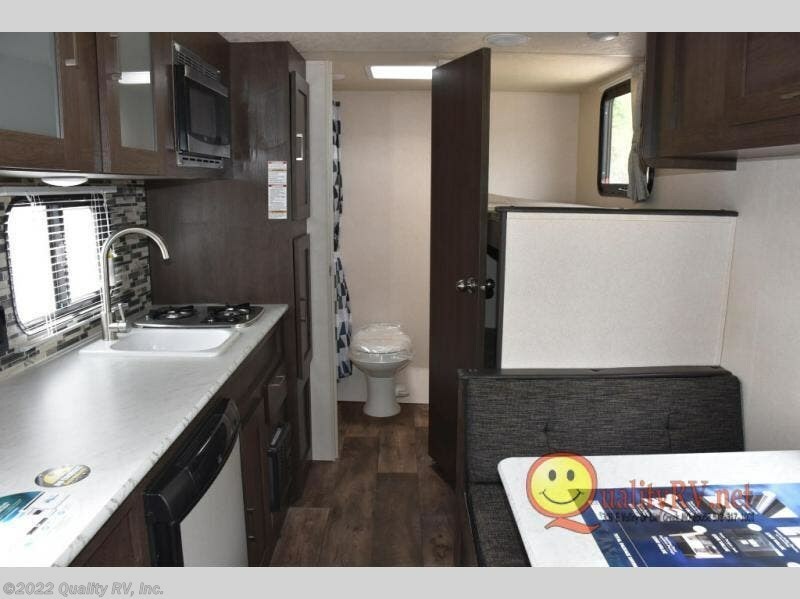 When back at camp you can shower and get cleaned up, enjoy a campfire for roasting hot dogs and s'mores, or hang out inside. 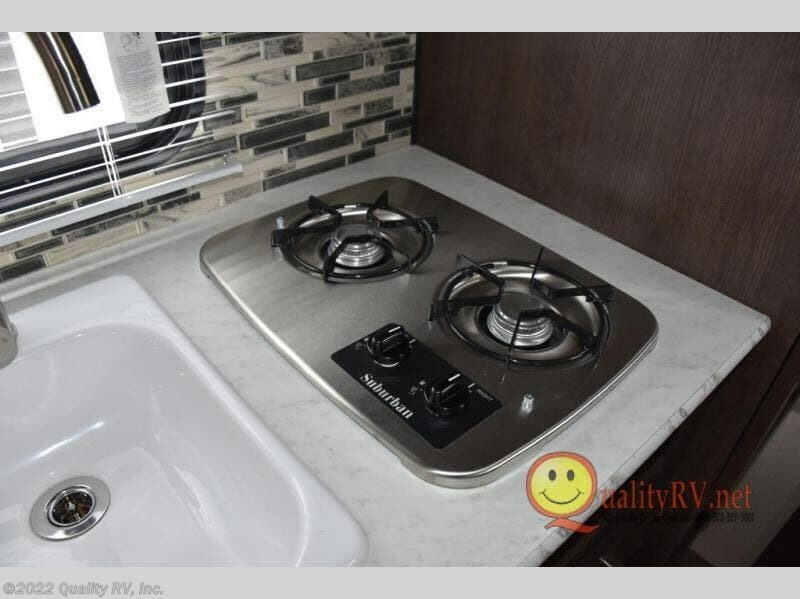 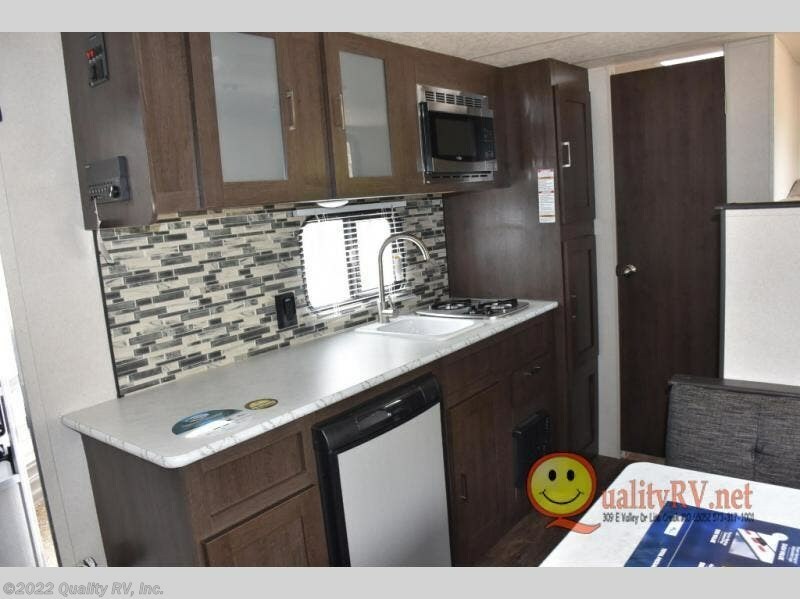 You can easily whip up meals and snacks inside at the complete kitchen, and you can enjoy meals and games at the 36" dinette. 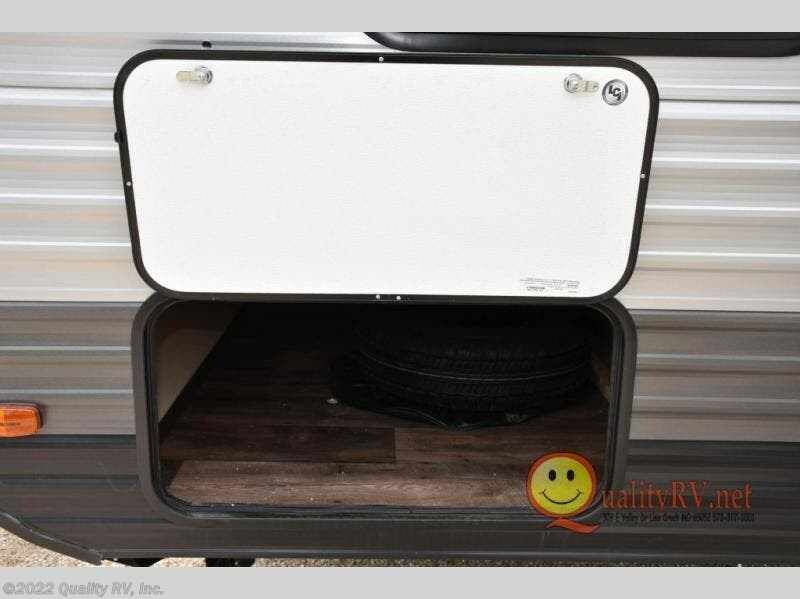 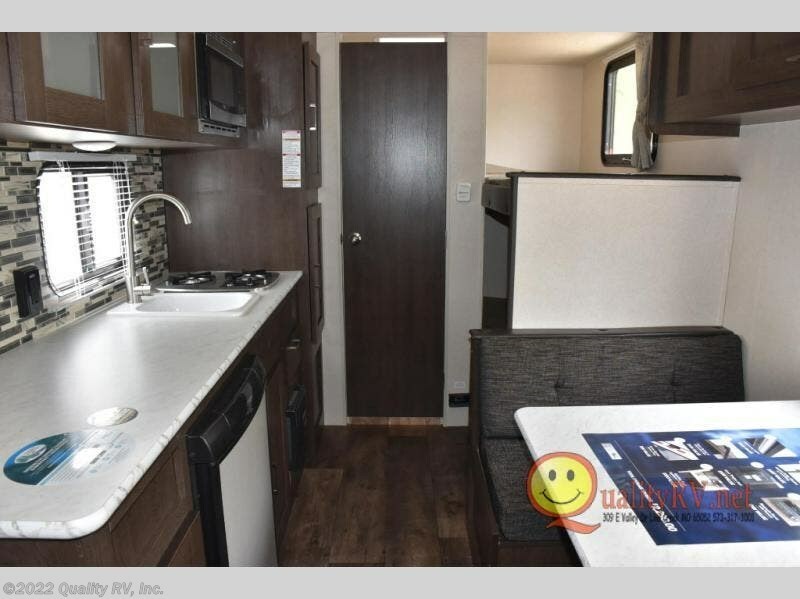 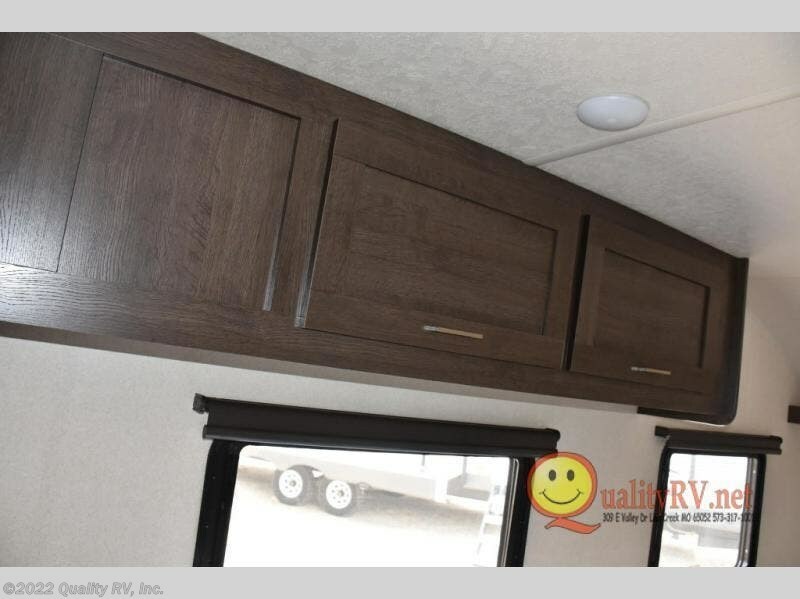 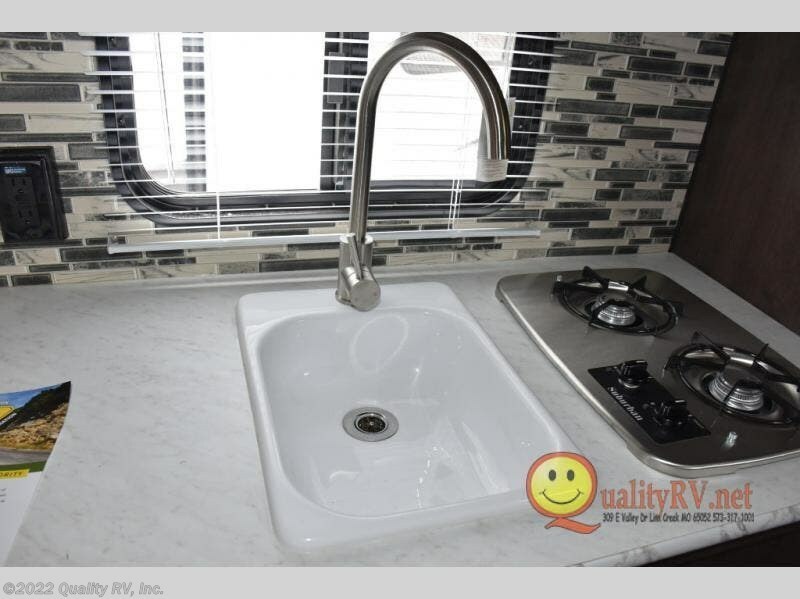 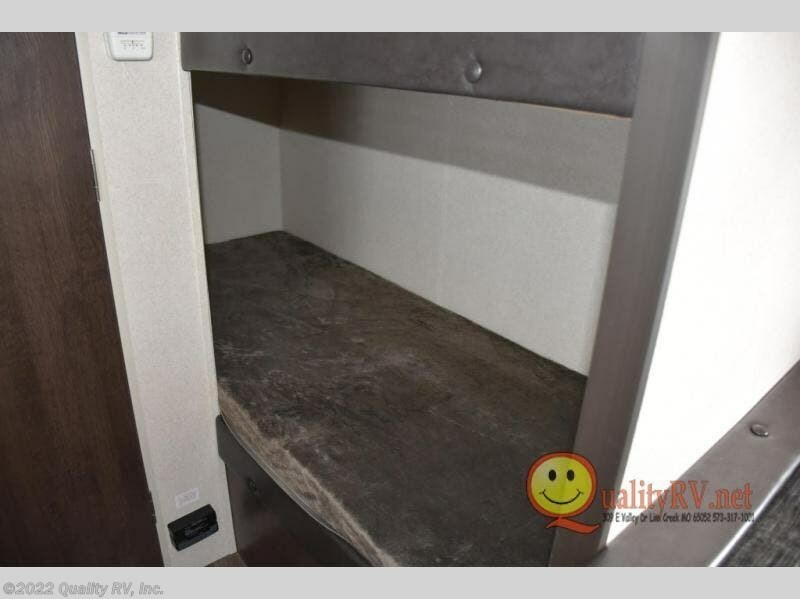 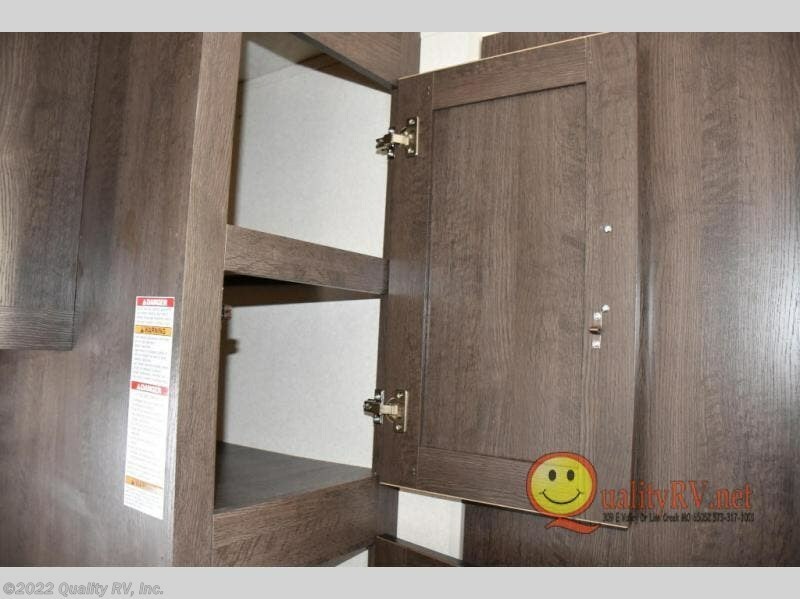 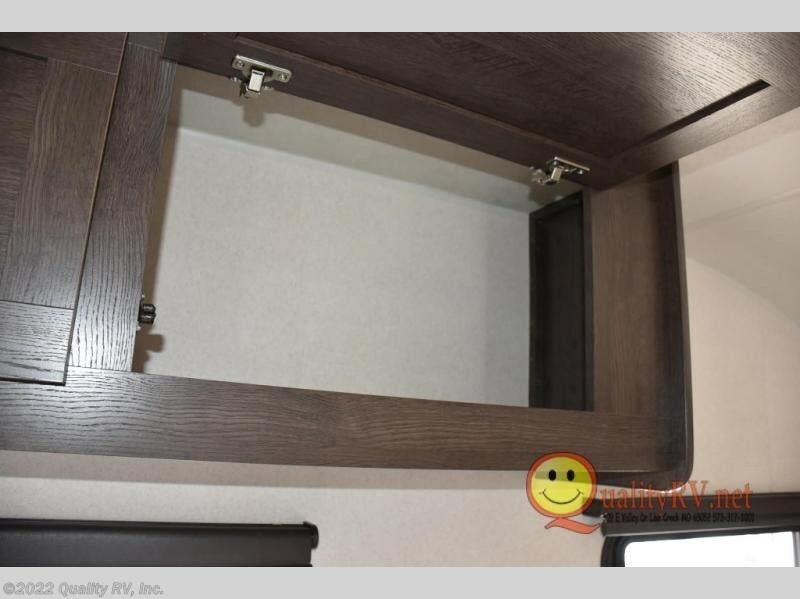 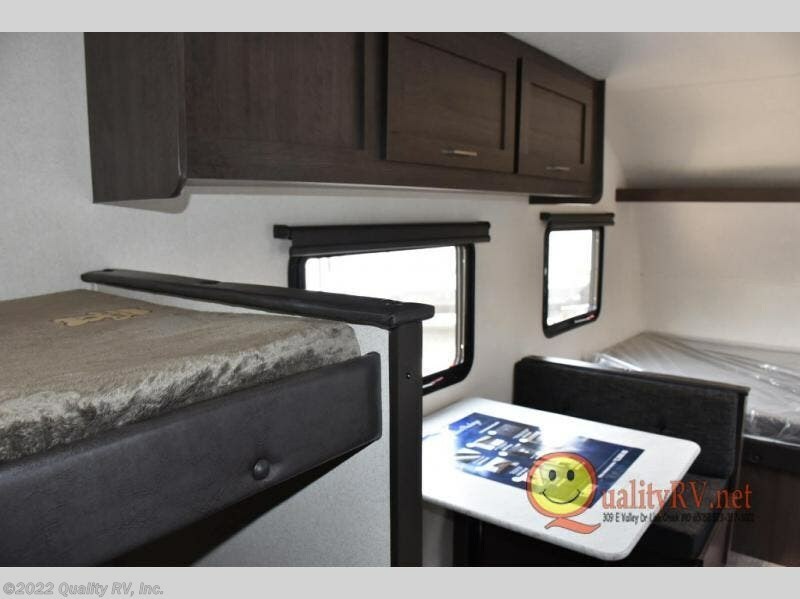 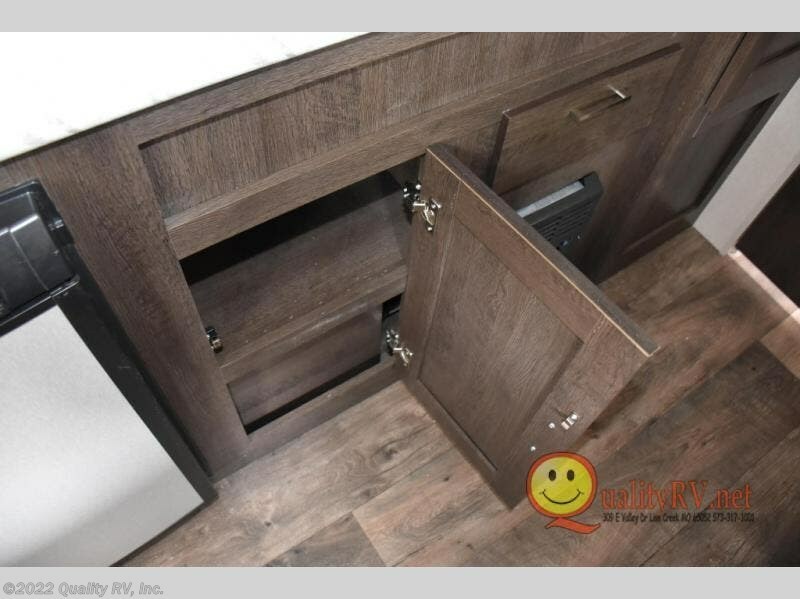 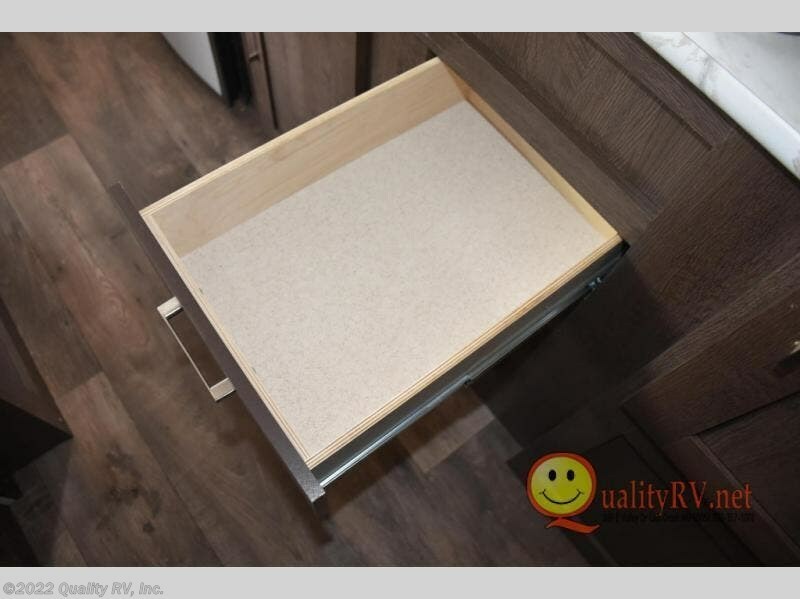 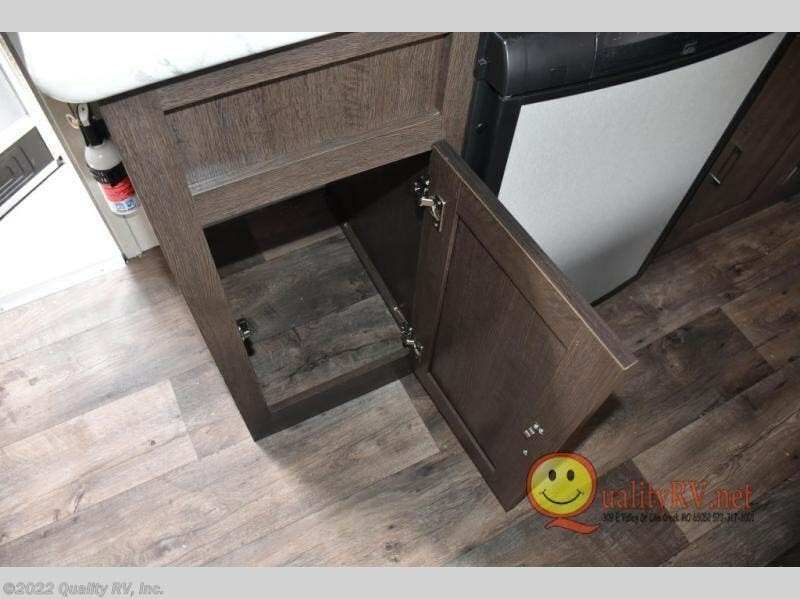 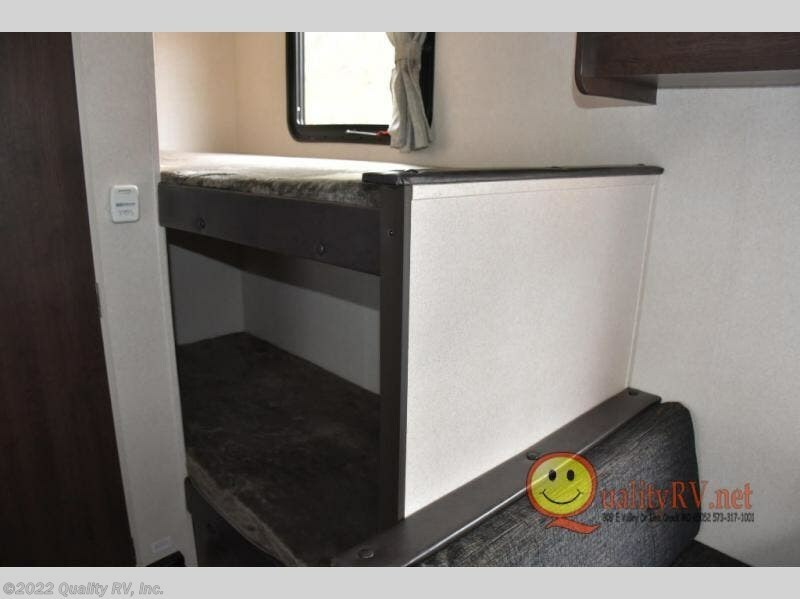 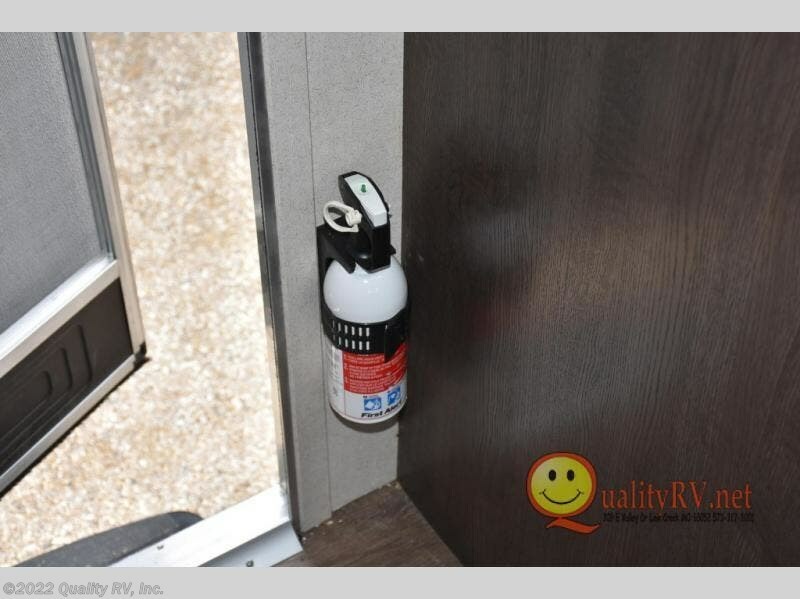 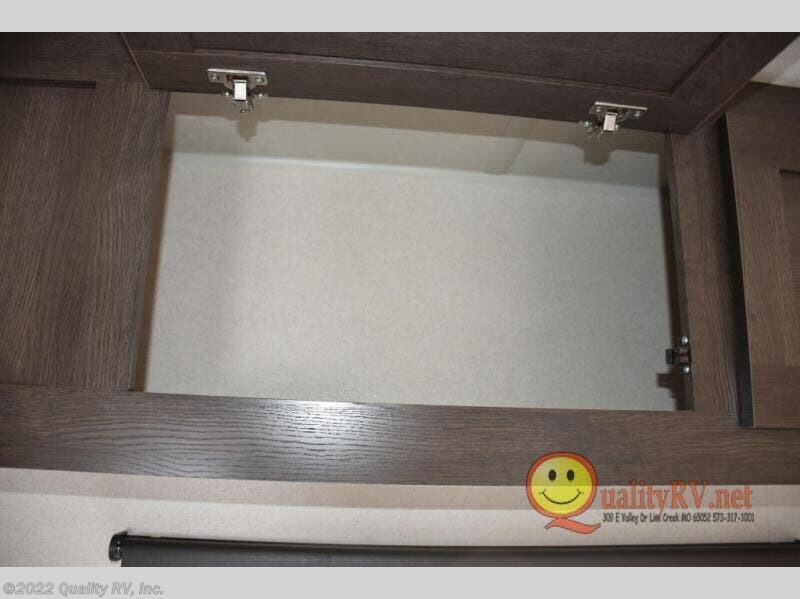 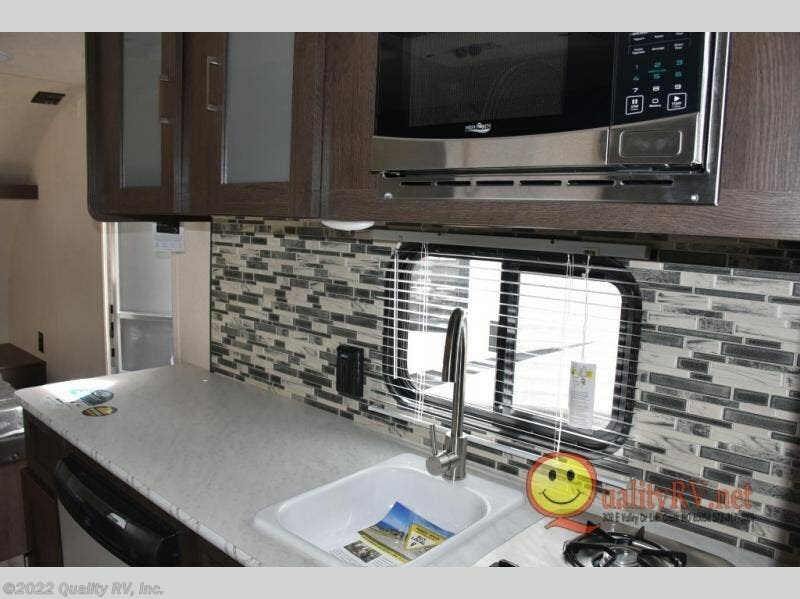 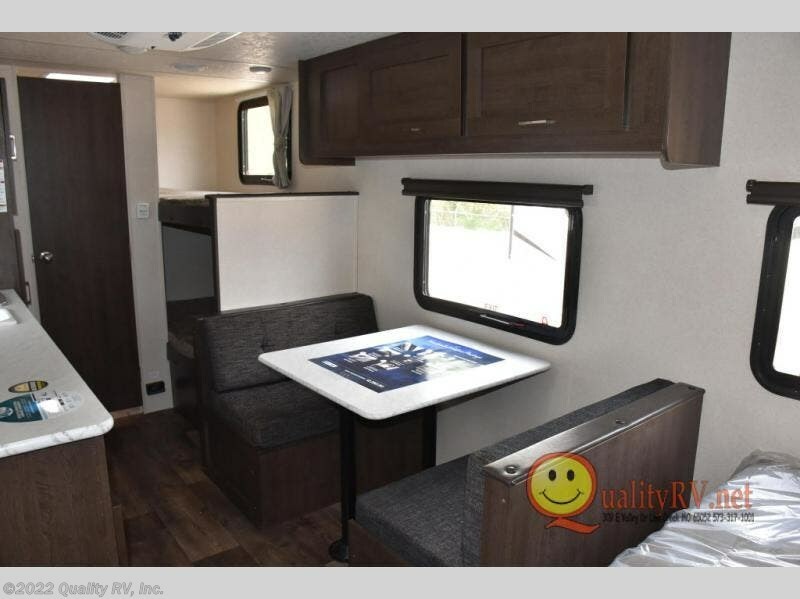 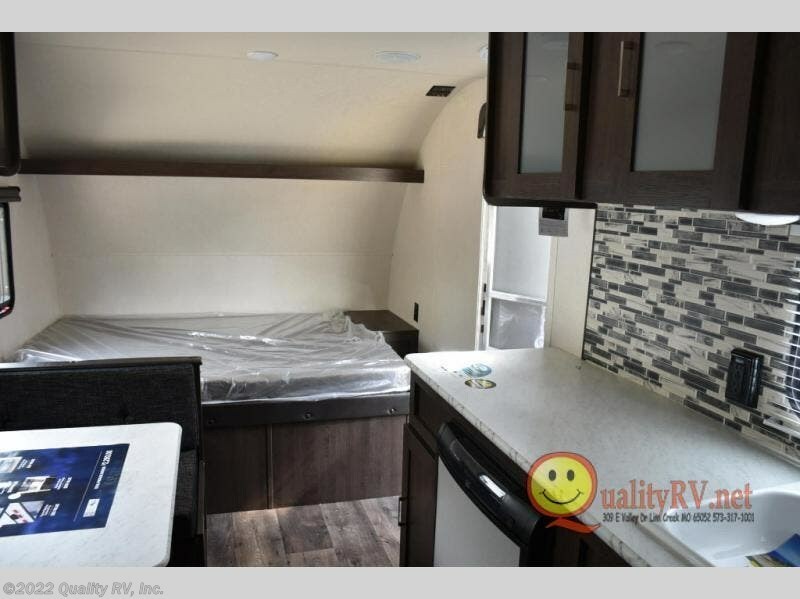 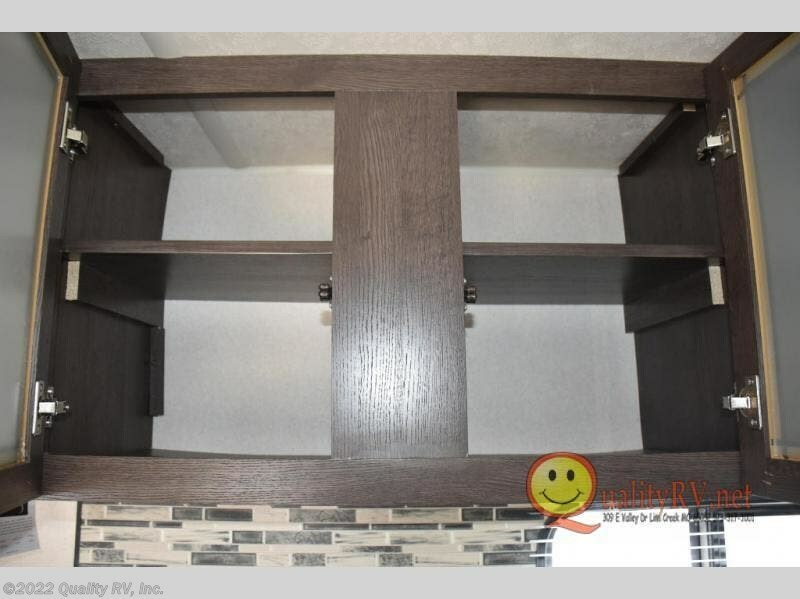 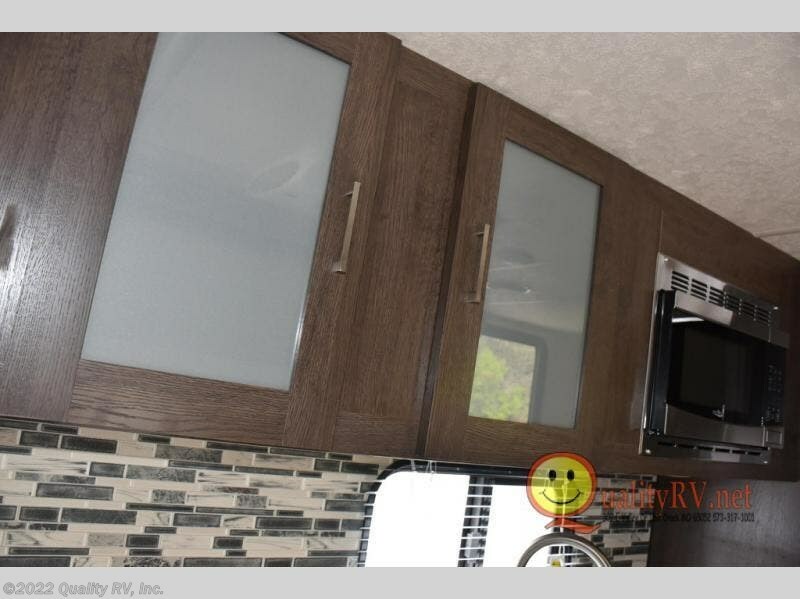 You will find ample storage throughout with overhead cabinets, a pantry, and storage shelf that runs the width of the camper in front. 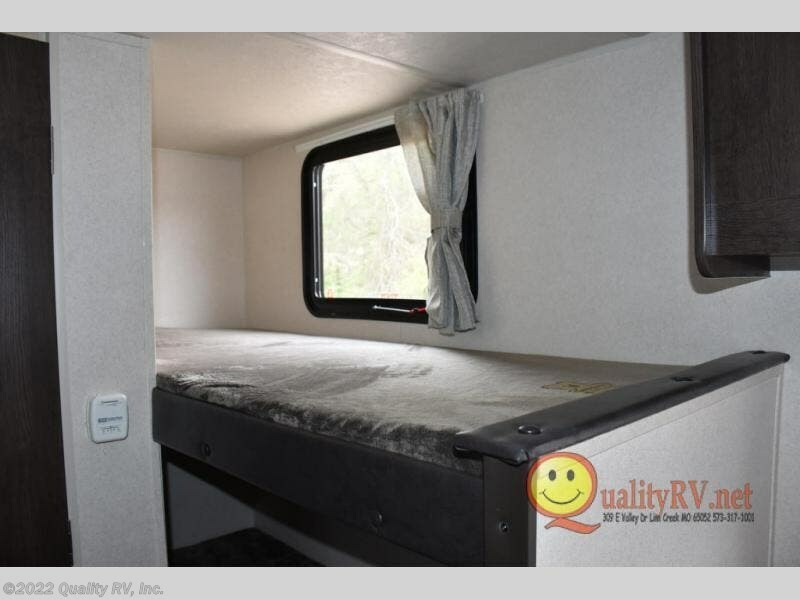 At night, turn in and get a great night's sleep on the queen bed up front, or twin bunks in the rear corner. 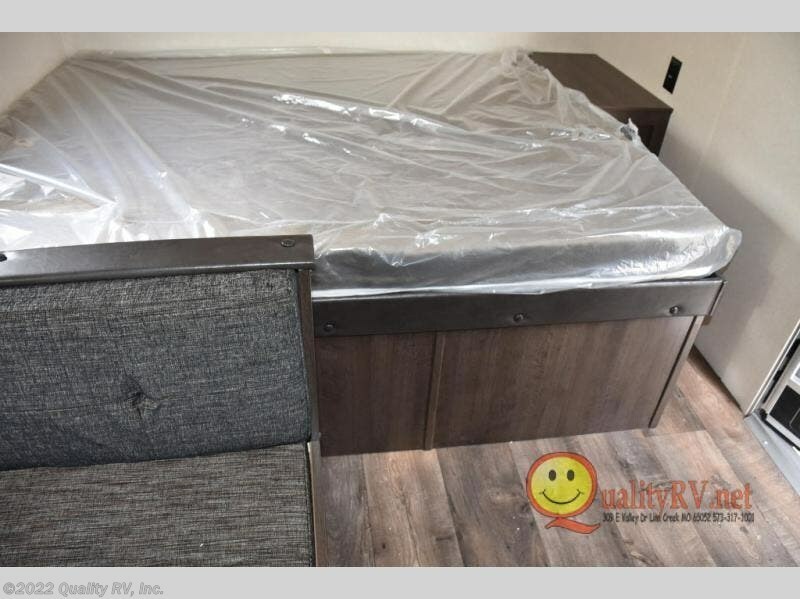 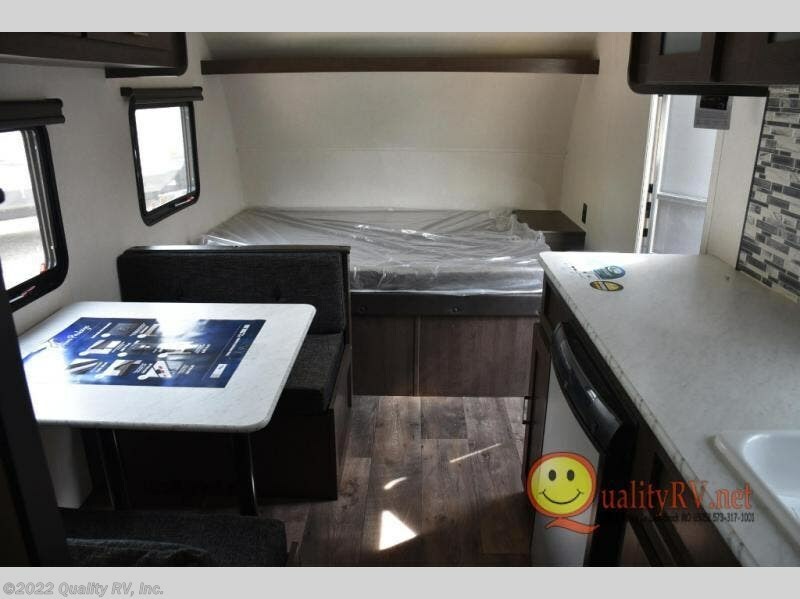 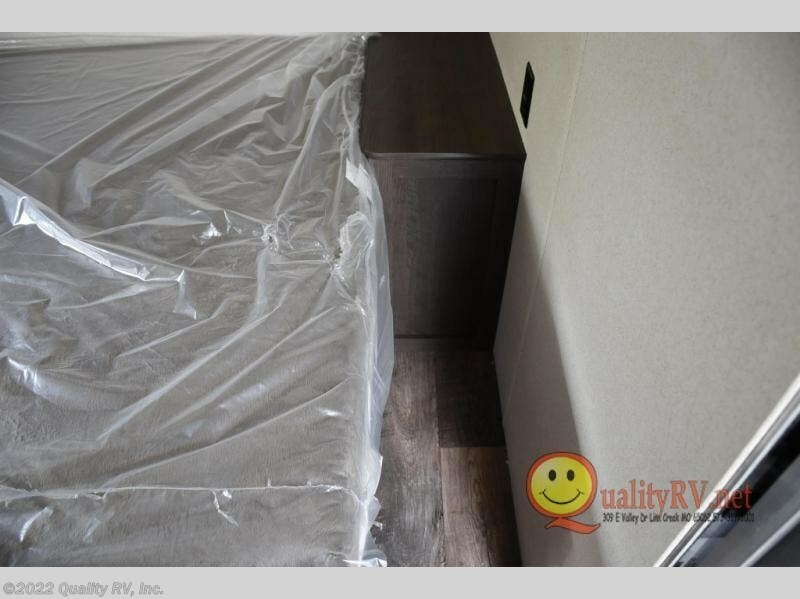 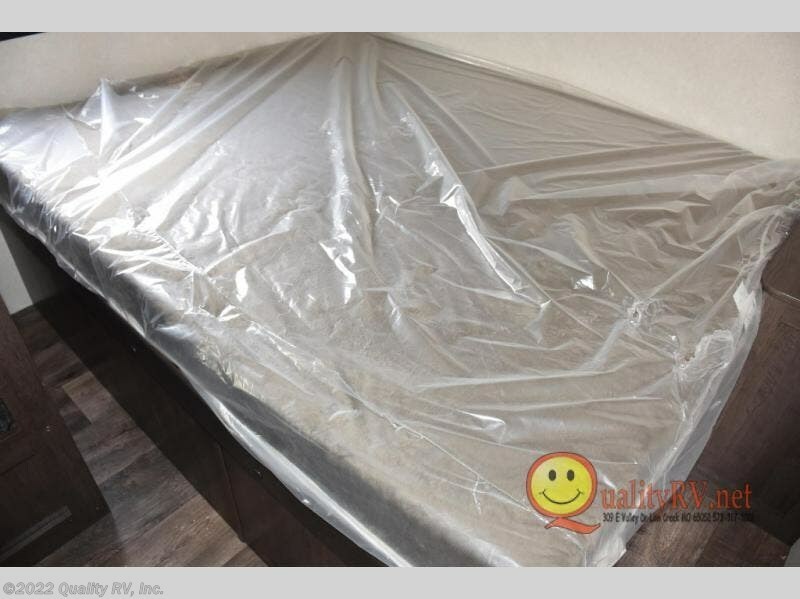 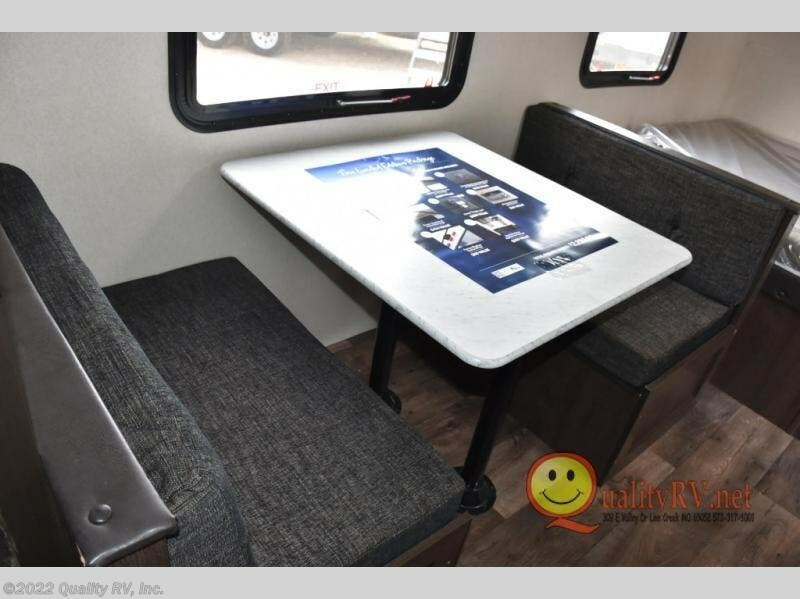 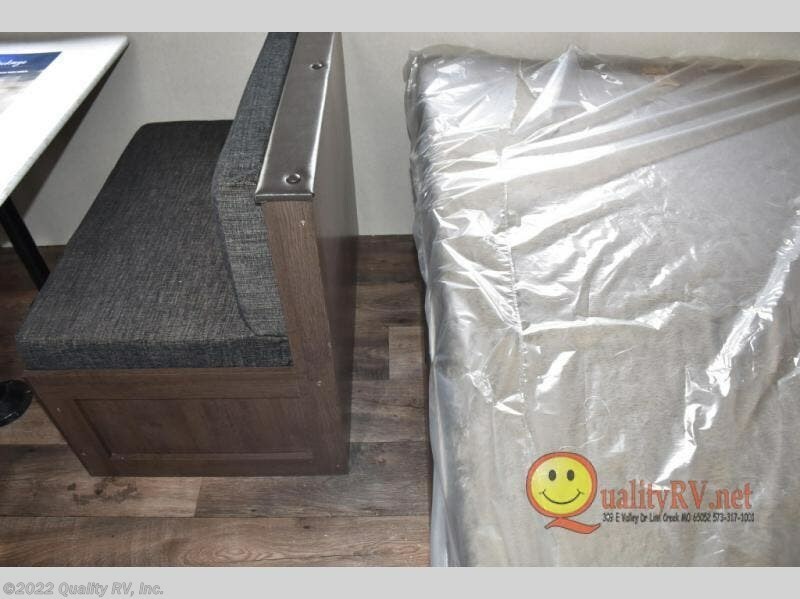 The dinette can even double as sleeping space for one more tired camper. 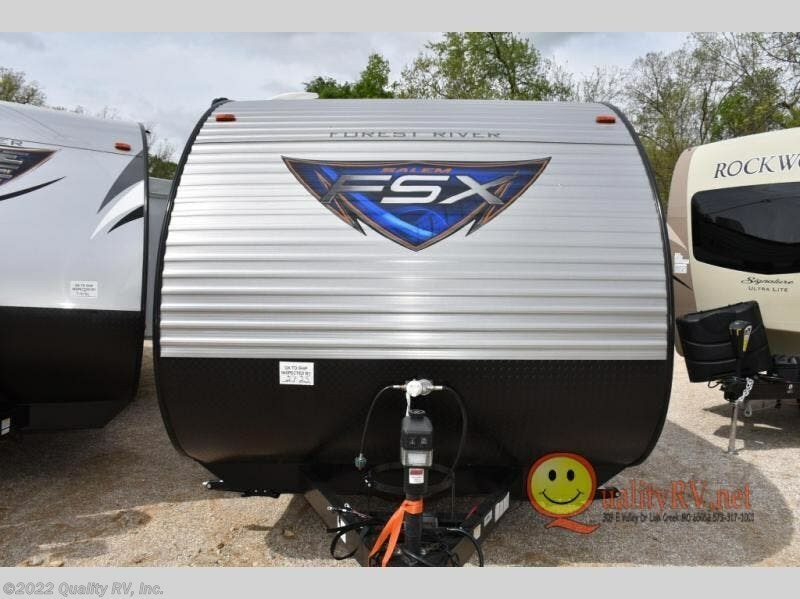 In any Salem FSX travel trailer by Forest River you can count on having fun while you enjoy any outdoor adventure away from home. 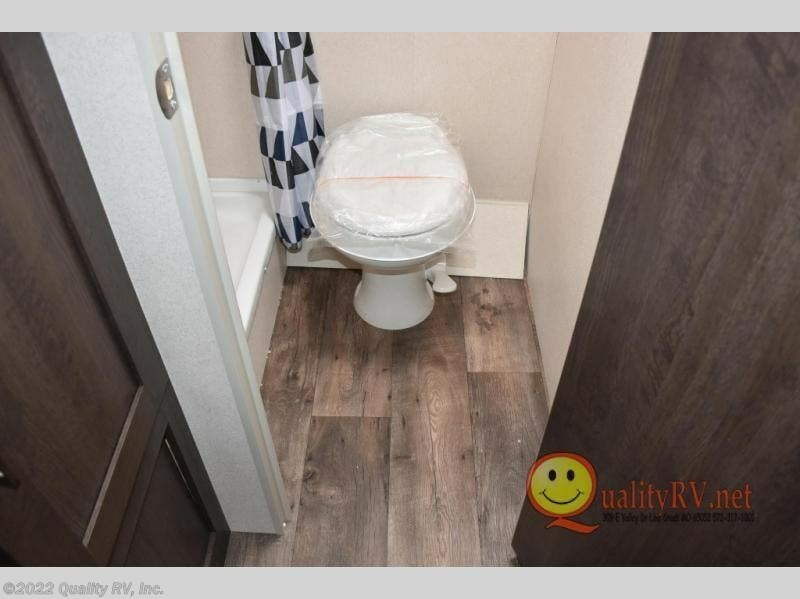 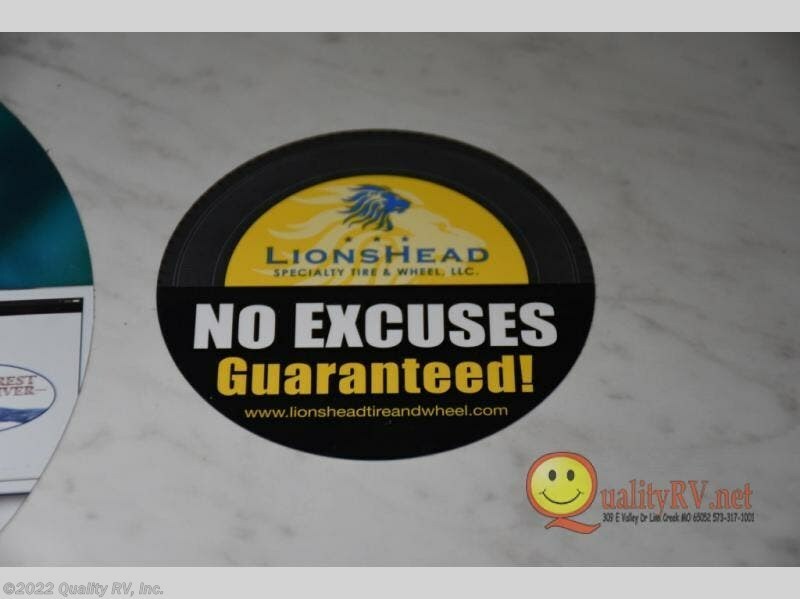 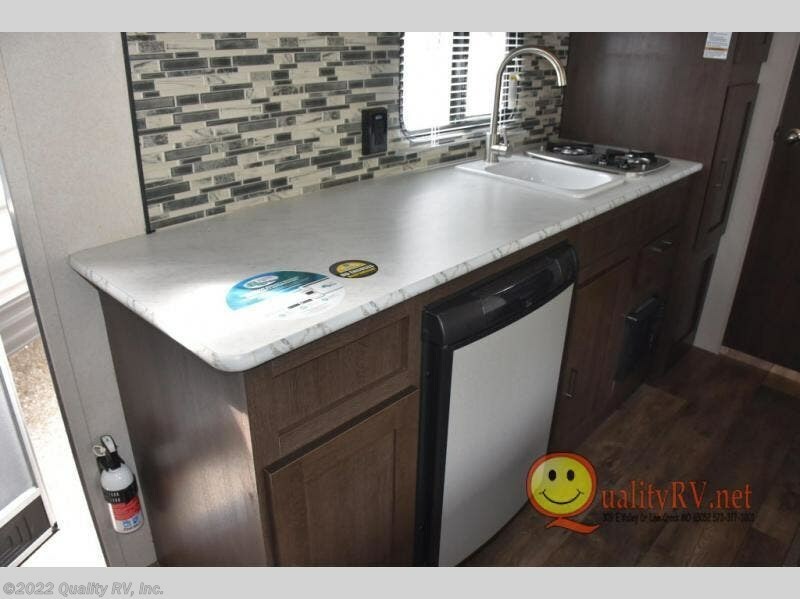 These full-featured lightweight units are easy to tow, and offer a modern residential living space including a queen sized bed in each unit, bunks in select models, and there is also one toy hauler unit for those who can't leave home without a few big toys tagging along! 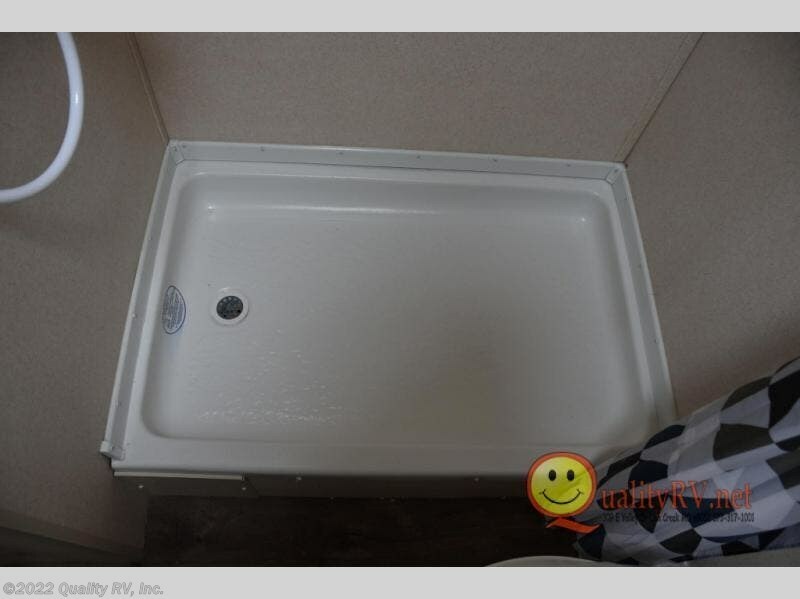 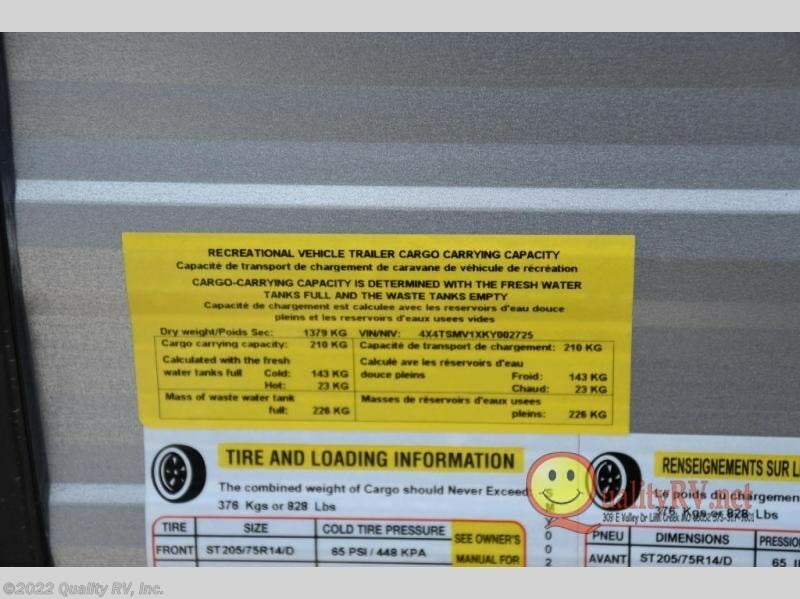 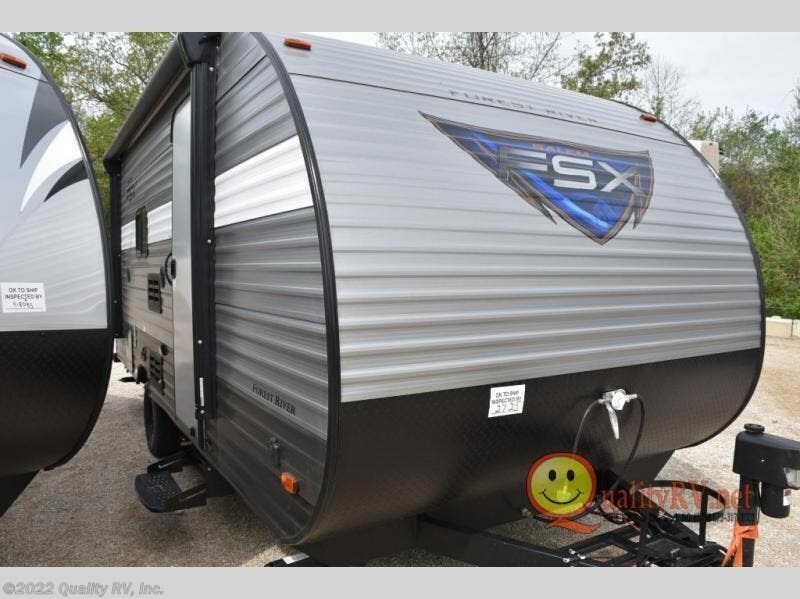 These trailers are all a full 7' 6" wide with full interior stand up height. 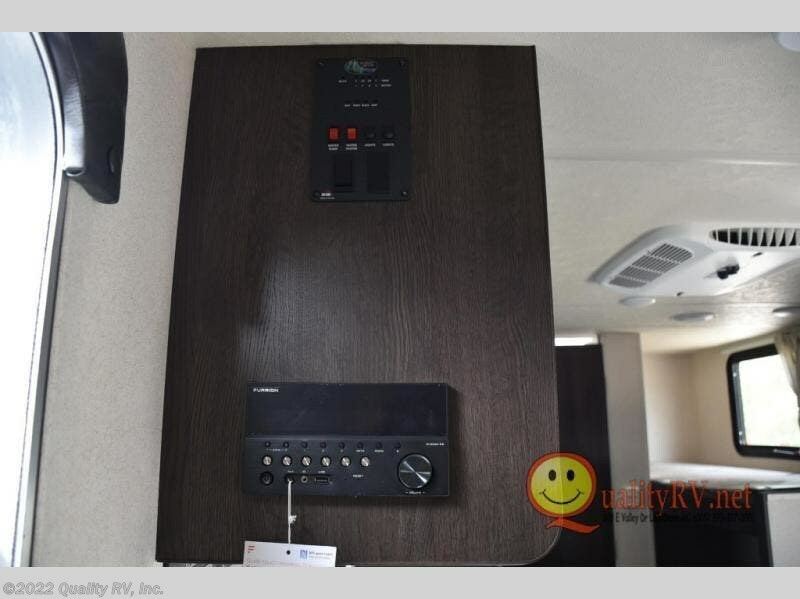 Depending on the model you select, you will find either a side or roof mount AC for added comfort in warmer climate as well. 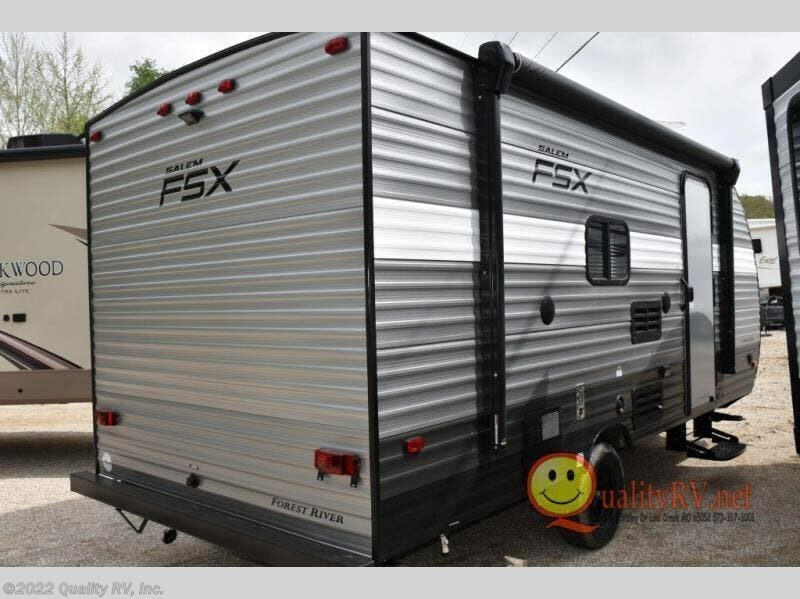 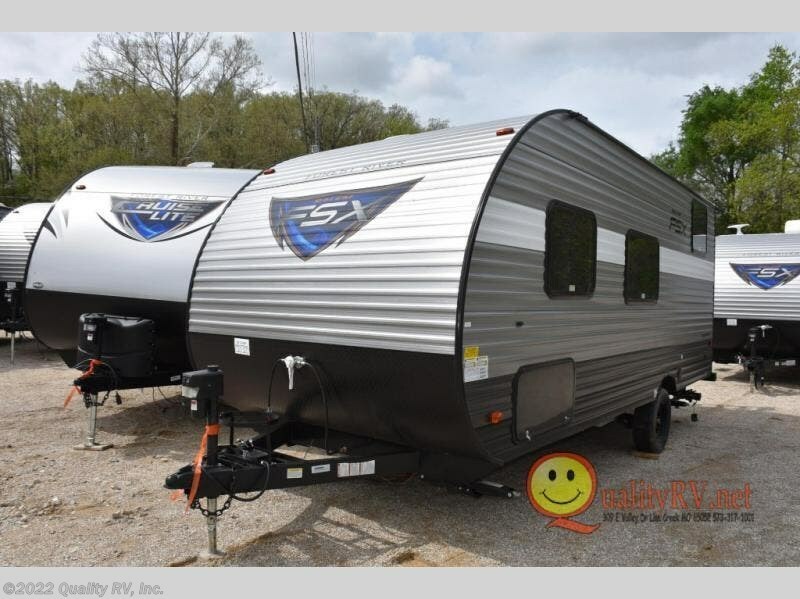 So, for a value packed unit that is lightweight and feature rich for its size, choose a Salem FSX travel trailer and head out for a weekend of outdoor fun! 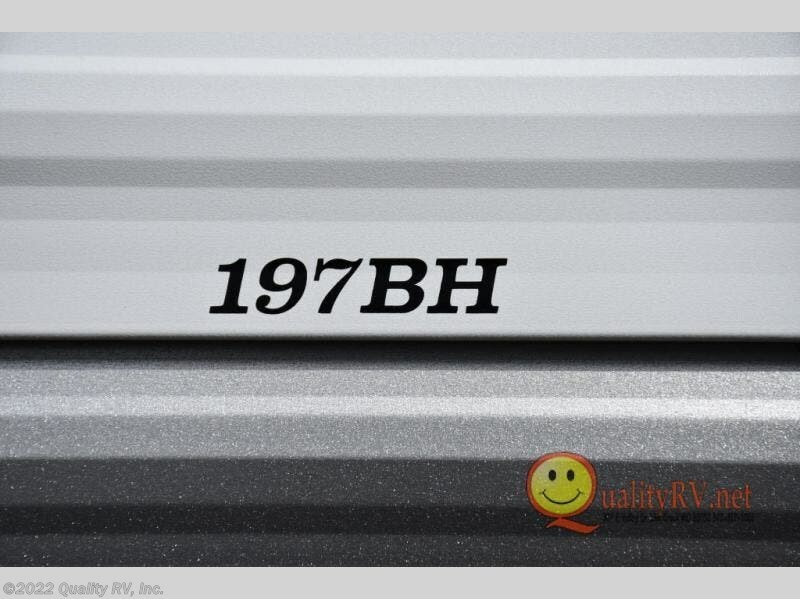 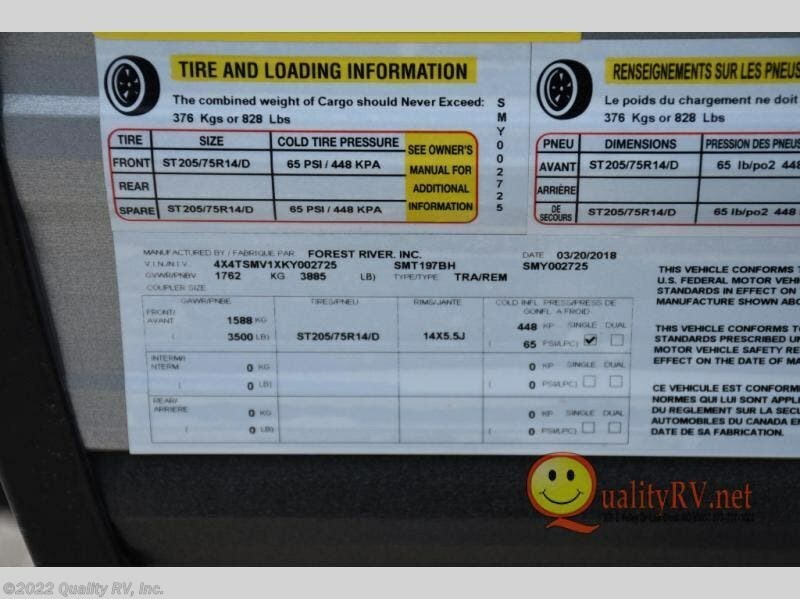 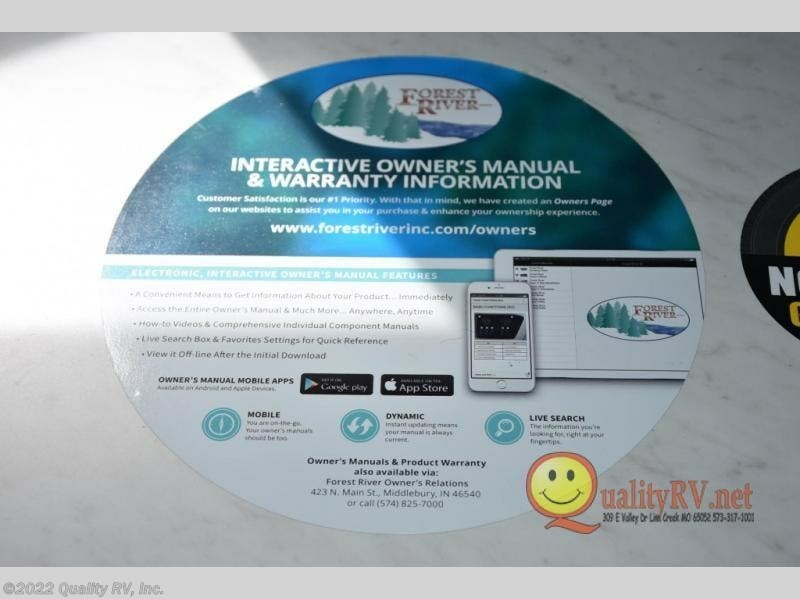 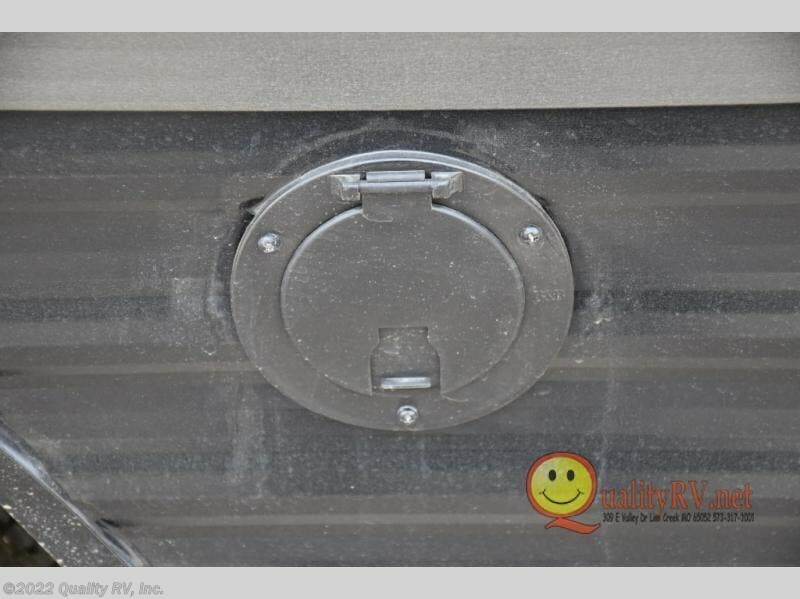 Check out Stock # KY002725 - 2019 Forest River Salem FSX 197BH on forestriverrvsource.com!